Kinross Vaulting Group was formed in June 2009, sometime after Active Schools began participating in October 2008. We specialise in small groups with an optimum of 8 vaulters per session. Currently the session are as follows; these are organised according to the needs of vaulters, preferred horse power and required training for competitions and events. Private sessions are available by arrangement only. Contact Liz to arrange. We have a covered arena here at Hillside, just outside Carnbo, so we are able to practice all year round regardless of the conditions outside. For more information on how our classes work, what they have to offer, or their structure; please feel free to email one of our coaches and we will get back to you promptly with any questions you may have. 1. The Constitution and Appendix. 2. The Child Protection Document. 4. Code of Conduct for Club Officials, Parents and Volunteers. 5. The Health and Safety Policy. 6. 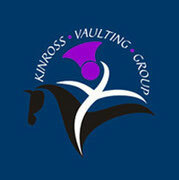 Kinross Vaulting Group Charges.